SHETLAND’S fishing industry is unanimously opposed to remaining in the European Union, according to one of its leading skippers. 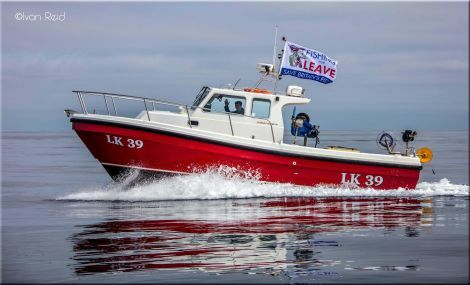 Fishing for Leave member George William Anderson said he was not surprised a recent survey by the University of Aberdeen showed 92 per cent support amongst British skippers for Brexit. Neither was Shetland Fishermen’s Association’s Simon Collins, though he said he did not believe the industry would be any better off outside the EU. Collins said he shared fishermen’s fury with the disastrous mismanagement of fisheries by Brussels. But he pointed out that both UK and Scottish governments had fully backed Europe caving in to the Faroese over mackerel stocks and bringing in an “unworkable” discard scheme. Collins also fears that a Britain outside the EU could negotiate away its rich northern fishing grounds in return for more valuable rewards. “I would love to believe that leaving would make it easier for us to catch a lot more fish, but given what our own governments have been doing over the last few years I don’t think leaving the EU would take us into a land of milk and honey,” he said. “Those of us who have had to deal with both our own governments and the EU don’t see a great deal of difference between them. “My sinking feeling is if we do withdraw, fishing could be used to negotiate away something for something that matters more, like access to steel products or the City of London’s banking sector. 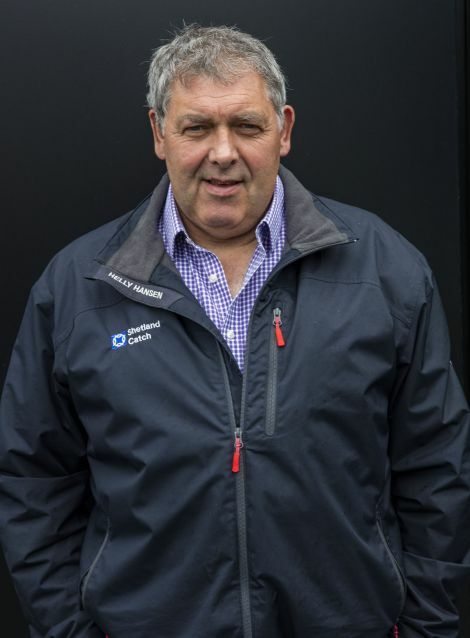 Adenia skipper George William Anderson agreed that the UK and Scottish government negotiators had not done much to help the industry over the years. But he wants to the UK to have its own seat at the negotiating table instead of working through Brussels, as do Norway, Iceland and Faroe. “What I am annoyed about is unelected EU bureaucrats having a say when we don’t have a seat at the table,” he said. Anderson has a long list of grievances against Europe’s handling of fishing, stemming back to 1973 when as a teenager he voted to stay outside the European Economic Community. He has been angry ever since with the Common Fisheries Policy, which he called “a disaster” that had hurt the UK more than any other country. “We have decimated the white fish fleet, while other EU countries have granted their fleets money to build new boats,” he said. He complained that the Scottish industry had received no rewards for all their efforts to conserve fish, such as increasing mesh sizes, and introducing square mesh and grading panels. The final straw has been seeing Faroe rewarded for flouting international agreements by being given access to carry out an “Olympic fishery” for mackerel in Shetland waters when local boats are forced to tie up. He said Europe’s conservation measures were dreamed up by people who knew nothing about the industry and how it worked, while Marine Scotland’s efforts to police local waters were nothing short of “criminal”. “They don’t seem to care,” he said. “Enough is enough, we have had years of this. We are sitting on the best fishing grounds in the world and everyone wants a cut of this. We are being hounded. “I have never talked to one Shetland fisherman yet who wants to stay in the EU,” he said, adding that fisherment friends in Denmark and the Netherlands were equally angry with the EU. His views are backed by the survey of 114 fishing skippers carried out by University of Aberdeen politics lecturer Craig McAngus, which showed 92 per cent support for leaving the EU. “Fishing is an industry that will be one of the most directly affected by the decision when Britain goes to the polls,” McAngus said. “The fact that over 90 per cent intend to vote to leave the EU is surprising and shows how strong feelings are amongst skippers and boat owners. “It is no surprise to find that fishermen believe their industry will prosper if there is a Brexit, and that they will be free to catch and land more fish than they are currently able to under the Common Fisheries Policy. At the moment the UK exports more than one third of its fish to countries within the EU, he said.